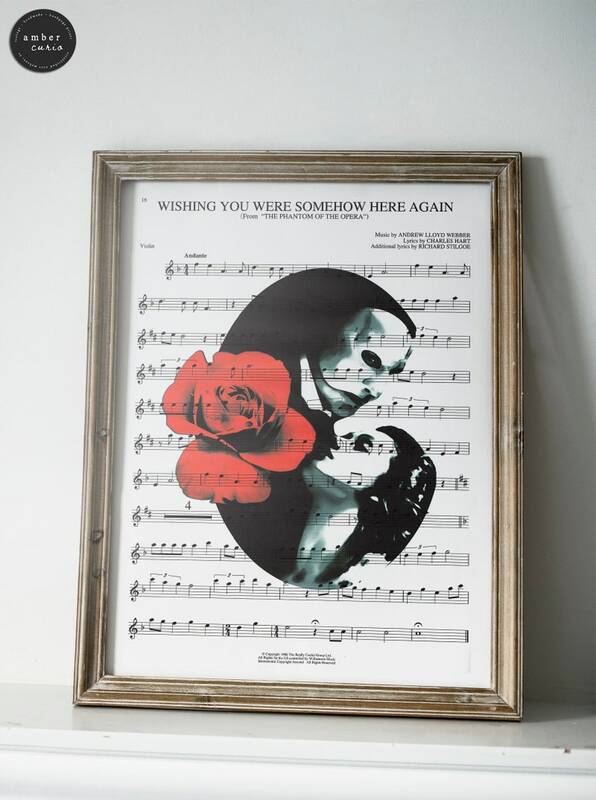 Page from the song "Wishing you were somehow here again"
Only 1 Item Available - Our Phantom of the Opera Best Selling Print on sheet music from the actual Musical. This hand-drawn print comes on the actual paper from the sheet music book - not a copy or reproduction. It is one of a kind and makes the perfect gift. Measuring approximately 9 x 12 inches in size it comes in the largest size we have ever offered here in our shop. • Unframed - All prints are unframed, the frames seen in the photos are just an example of what the prints will look like once you pick out your own frame. Please email me with any questions or concerns you might have about this one of a kind piece of art before you buy. Thanks for stopping by!